Accredited Preschool, Free VPK & Private School (K-8)! Ivy League Academy Has It All! Breakfast, Lunch & Snack at No Extra Cost! 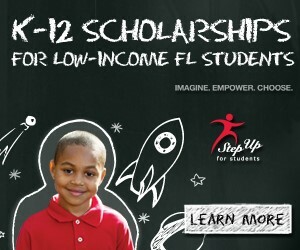 Accept Step up for Student, Gardiner & McKay Scholarships! Accept & Contracted with Child Care Aware for Military Families! Accept & Contracted with the Early Learning Coalition of St. Lucie & Martin Counties! Private School K-8Click Here To Learn More! Get Started Here!Now Taking Open Enrollment! (Kindergarten – 7th Grade) at ILA? (Kindergarten – 8th Grade) as well before or after-school program, Winter, Spring and Summer Camp or Summer School. Ivy League Academy takes your child from the early stages of development through to their primary education. Whether it’s rolling over for the first time, learning to walk, learning to share, learning the ABC’s, forming a sentence, or learning about the Solar System. Ivy League Academy will be there to help make every moment become a teachable moment for your child. Ivy League Academy wants to help your child become a successful student by helping motivate and encourage your child to be his or her best. which include breakfast, lunch & a snack! Coming to Port St. Lucie this Fall 2018! ©2019 Ivy League Academy - All Rights Reserved.